A quick and easy dessert that will satisfy your sweet tooth without a lot of added sugar. 1. 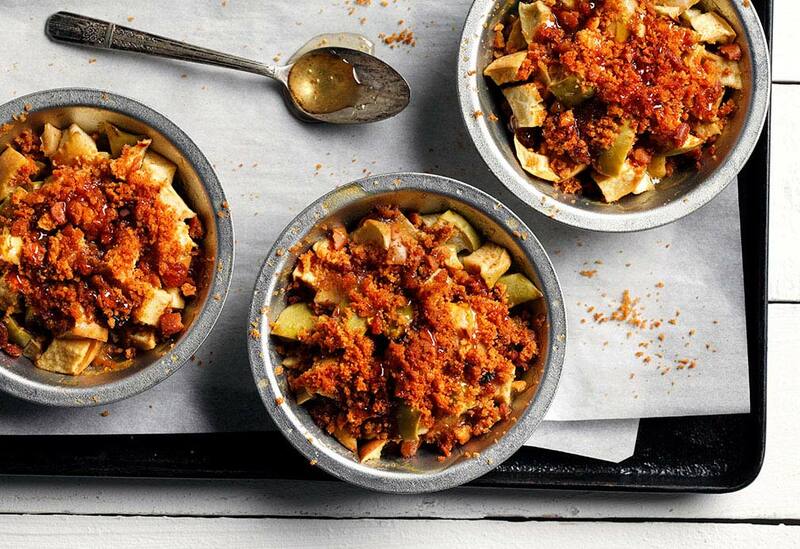 In a large nonstick skillet, combine apples and canola oil. Toss until well coated. 2. Spread apples over bottom of skillet and cook over medium heat for 5 minutes; do NOT stir. 3. 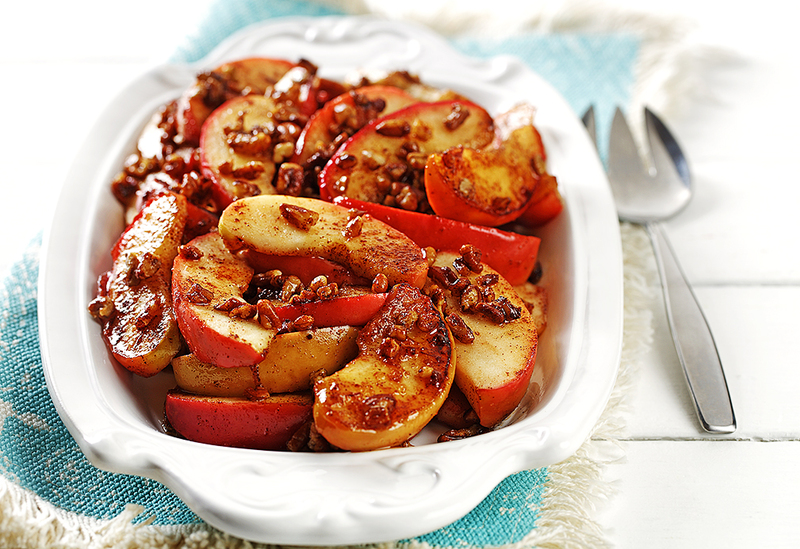 Stir in pecans and cook 4 minutes or until apples are lightly browned and tender-crisp, stirring frequently. 4. Meanwhile, in a small bowl, combine sugar, cinnamon, nutmeg, and salt. 5. Remove apples from heat, stir in sugar mixture and vanilla, cover and let stand 5 minutes to absorb flavors and release juice. This mouthwatering recipe makes serving pancakes to a crowd a cinch. 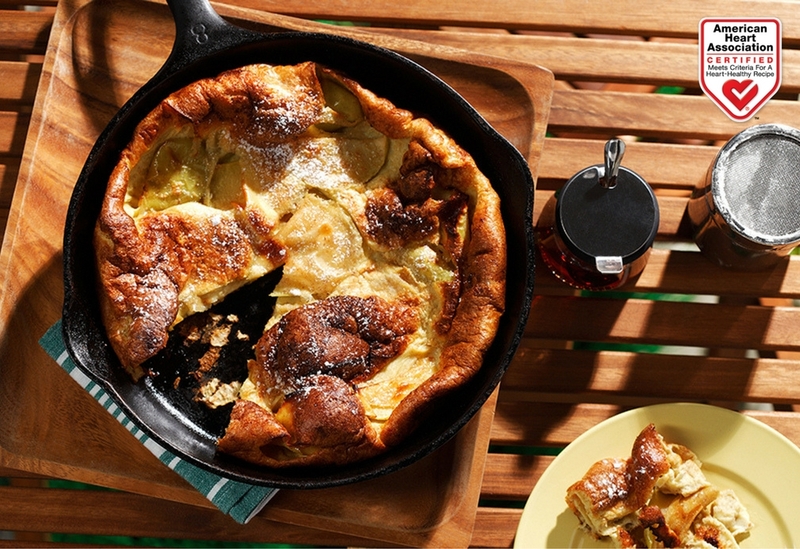 The batter is simply poured in a skillet and baked into one big, golden brown, apple-filled pancake, eliminating the need to stand over a hot stove flipping flapjacks. Using canola oil, whole-grain flour and unpeeled apple gives you the best in taste and health. This tasty, comforting dessert is delicious served warm or cold. 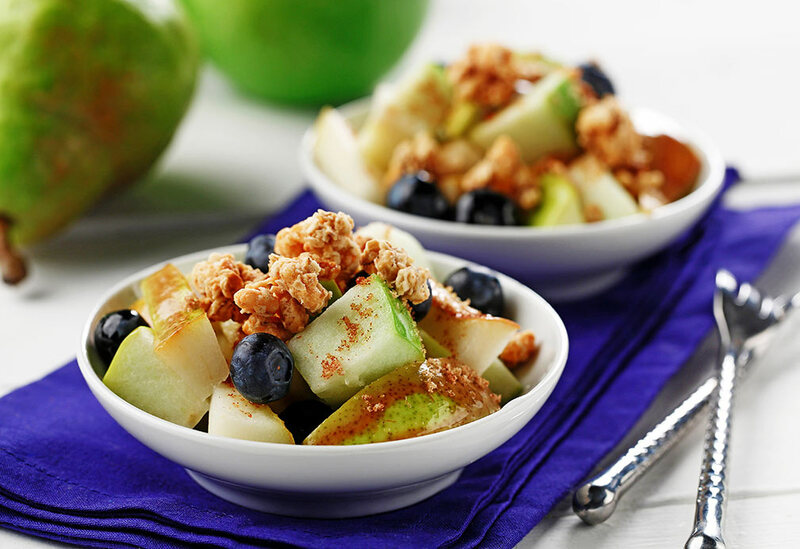 With a brief turn in the pan, diced apples and pears transform into a quick dessert – or even a special breakfast! The mild taste and light texture of canola oil works well with fruits’ delicate flavors.